As I mentioned earlier, I keep an eye on what search engine queries bring traffic here. 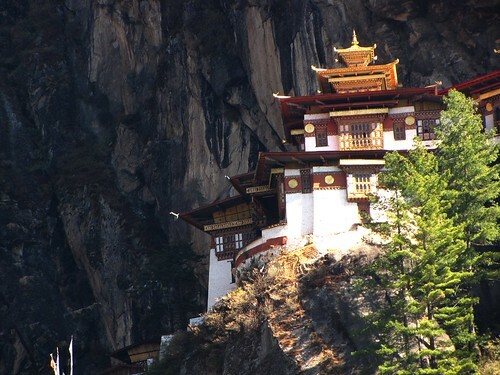 Now I'm noticing that people are looking for the actual numbers of tourists coming into Bhutan, not just a discussion about whether there are limits on these numbers. I do have those figures at hand, thanks to a couple of sources including Bhutan 360. Here are the totals for foreign tourist arrivals in the past five years. I understand that the number of regional tourists (i.e. Indian citizens) is about the same count again for each year. Note the dip last year which is mostly attributed to American and Japanese travelers staying home due to economic troubles. Seeing those figures, it's clear that there's no tightly constricted cut-off number. I hope this info is of use to those who were searching for it.